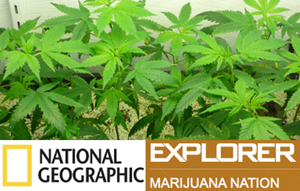 In this National Geographic Explorer documentary titled "Marijuana Nation", Lisa Ling takes us on a trip to reveal modern day marijuana agriculture in secret farms along the Western Coast and some not so secret massive grow houses where Ganja is grown for it's medicinal use ! Medicinal Marijuana is currently legal in 12 states: California, Rhode Island, Vermont, New Mexico, Nevada, Montana, Colorado, Maine, Oregon, Alaska, Hawaii and Washington State. Marijuana is a cure for a whole lot of other diseases and ailments including Cancer ! Joe Rogan on Hemp, Marijuana & DMT !